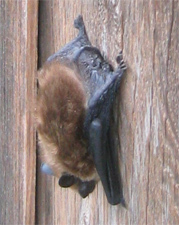 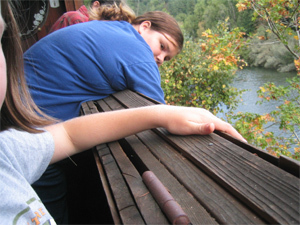 When we took in the cabin's sign for the winter, we discovered a lone bat sleeping underneath. 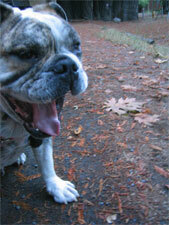 He hung around long enough for a brief photo shoot then disappeared. 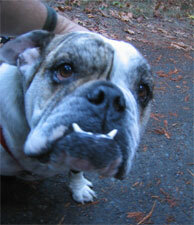 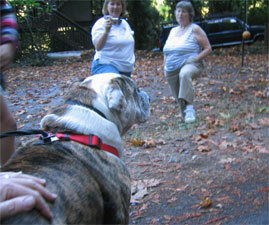 Milo -- Fernando & Tabby's English bulldog -- was also a good sport for his photo shoot.